While dealing with a bout of the occasional sleeplessness that comes with dad-to-be jitters, I found solace in one of the most beautiful songs I have ever heard — and it wasn’t even playing at the time. My brain dialed up the delicate and repetitive acoustic loop from Mary J. Blige’s “Beautiful Ones.” The powerful soul ballad quickly quieted my anxious thoughts and soon had me snoozing. When I woke up in the morning, the song was still there and I quickly banked it on the “His First Mix” playlist. 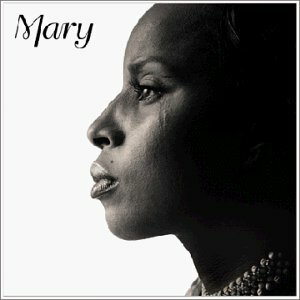 This incredible R & B gem is included in the Mary song collection, Blige’s quintessential 1999 LP. First, it illustrates the amazing power of music and memory. This is a song that I had not heard in years, but it was so quickly cued and instantly soothing during a difficult time a few nights ago. The song also illuminates Blige’s goosebump-giving vocal talents that made her my favorite R & B artist of the modern era. “Beautiful Ones” is a tuneful description and raw expression of the kind of profound love parents reserve first for each other and then for their children. As advertised, It also has a beautiful groove (courtesy of a Burt Bacharach sample). Perhaps it’s the repetition and maybe it’s just Mary, but it sticks with you long, long after you take off the headphones.